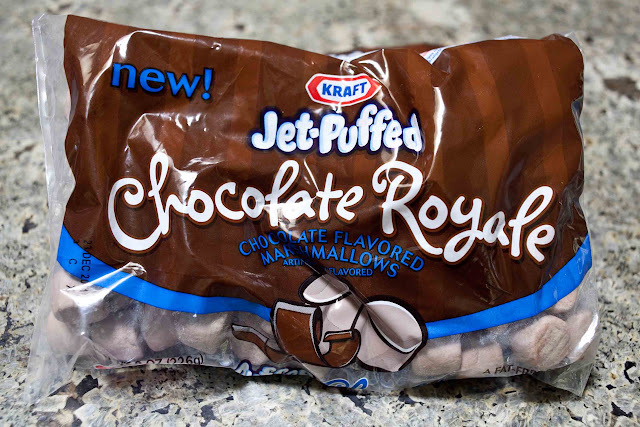 While at the grocery store the other day, I noticed they had some chocolate marshmallows I hadn't seen before. Have you tried them? My husband is a chocolate lover, so I decided to try them in energy bars since I was due to make a batch. Since the energy bars have peanut butter in them, I thought a mini Reese's peanut butter cup might taste good in there too. Turns out I was right! 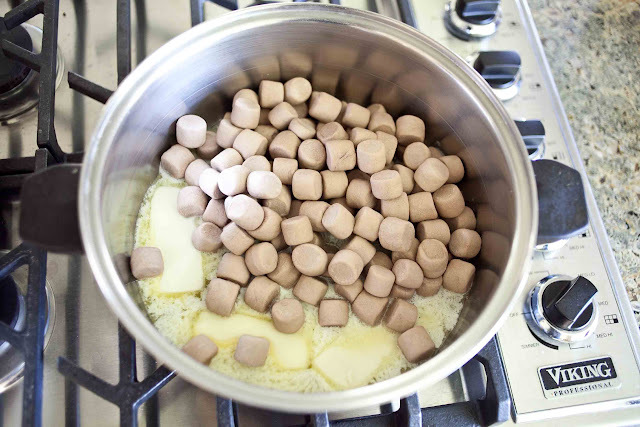 Melt the butter and marshmallows over medium-low heat. Add 1 cup peanut butter, stirring frequently and being careful the mixture doesn't burn. 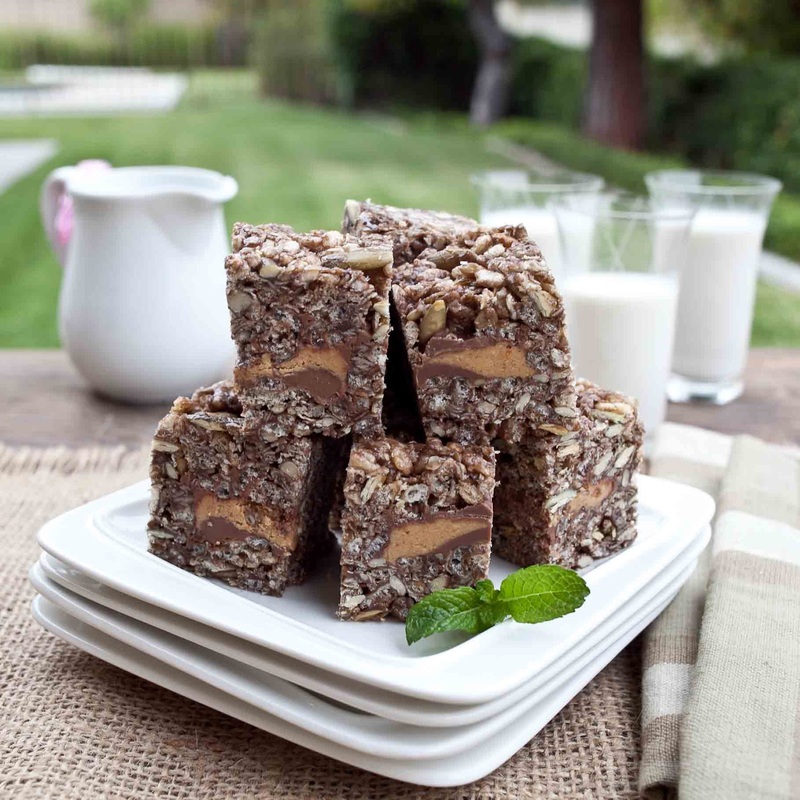 In the meantime, unwrap the peanut butter cup miniatures and, in a large bowl, mix together the quick oats, sunflower seeds and pepitas. When the marshmallow mixture is evenly melted and combined, add it to the oats & nuts. 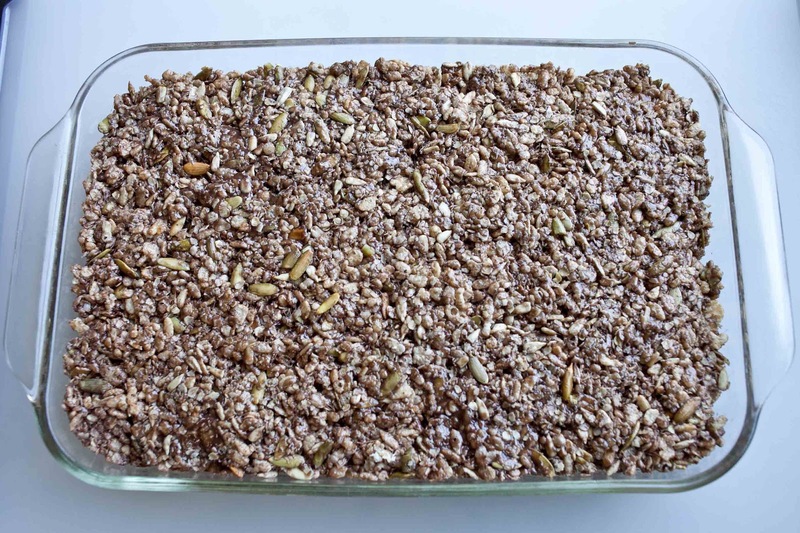 Place half of the mixture into a 9 x 13 inch baking dish sprayed with non-stick spray and press mixture into dish. 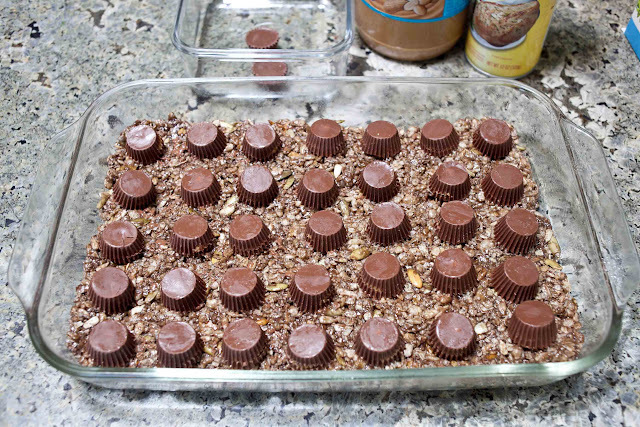 Arrange the peanut butter cups in the pan. Cover with the remaining mixture. 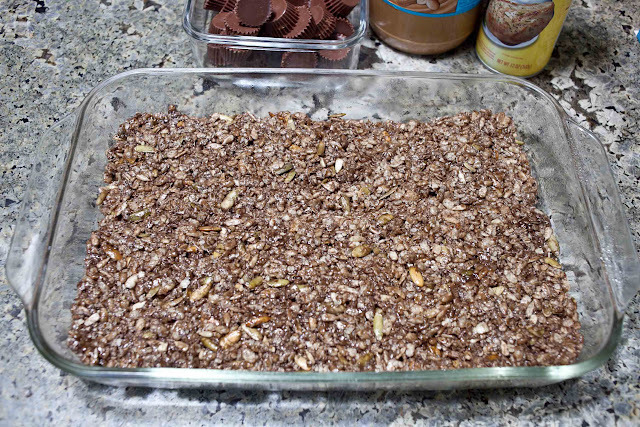 The mixture is warm so the peanut butter cups will melt a little (or a lot depending upon how warm the mixture is when you put it into the baking dish), press the mixture into the dish. When mixture cools, cut into squares or bars. Do you remember my dad and his dog Daisy? I wrote about them after the Green Chile Enchilada Sauce with Leeks recipe. And also after the Peppers Stuffed with Barley & Quinoa recipe. Early Sunday afternoon my dad called and invited us to dinner to have Chinese food at Sam Woo's. We were having an early dinner at 5 so he and Mom could be home in plenty of time to watch their favorite TV show. They've become hooked on Korean dramas. I didn't think anything of the invitation, but my husband asked several times, "What's the occasion?" It was my brother Gordon's birthday, but he just visited last weekend, so I knew that wasn't the reason. I really didn't think much of the invitation, I just planned on going--but now that I think about it, it was a little out of the ordinary because we all got together just last Sunday. When my husband and I got to the restaurant, my mom and dad were there sitting way in the back--we made our way back there and sat down--we were the only ones there, everyone else came 10 or 15 minutes later. "Daisy died today. I invited everyone to dinner to honor her and give her a good send-off." 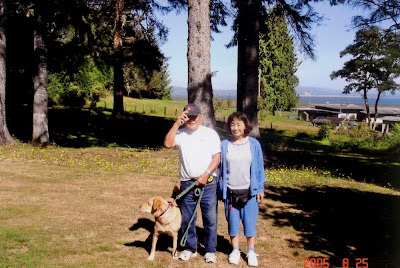 Daisy's whole life flashed through my mind in the moments I sat grief-stricken. Daisy loved going with my dad to The Barn where he grew vegetables, and she traveled with my parents in their motor home. Sometime last week, Daisy wouldn't get into the pick-up to go to The Barn and she stopped eating. My dad went to the store and bought steak for her and tried hand feeding it to her. 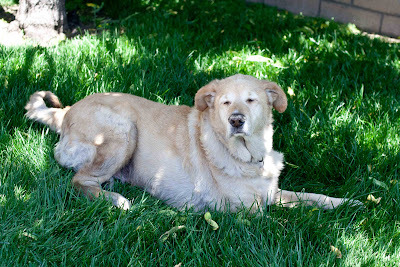 She would lay in the backyard on her side, lifting her head to see Dad and wag her tail, but didn't move much. 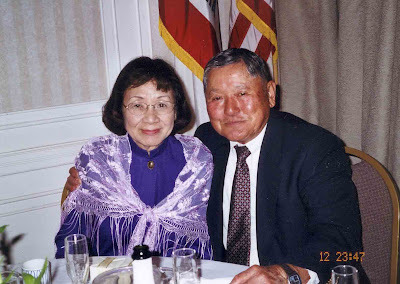 Soon, the life left her body, and my dad took care of her one last time. As other family members came to the restaurant, Dad asked if he should tell everyone now or wait until after dinner--and since I was a mess and no longer felt like eating, I said, "After." After dinner, everyone was shocked, just like I was. There were tears, and Dad recounted the week to the family. 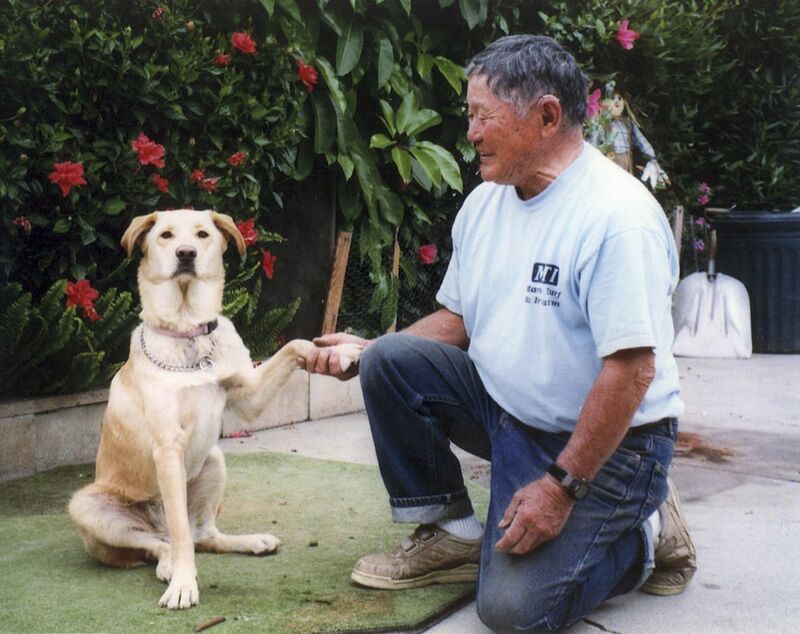 Some offered stories of Daisy, which brought comfort. Dad gave Daisy a nice send off with the family there in support. Dad says he doesn't want another dog--he maybe wants to do some traveling. He worried about Daisy when he was away--that she might be lonely. I worry Dad and Mom will be lonely without Daisy. 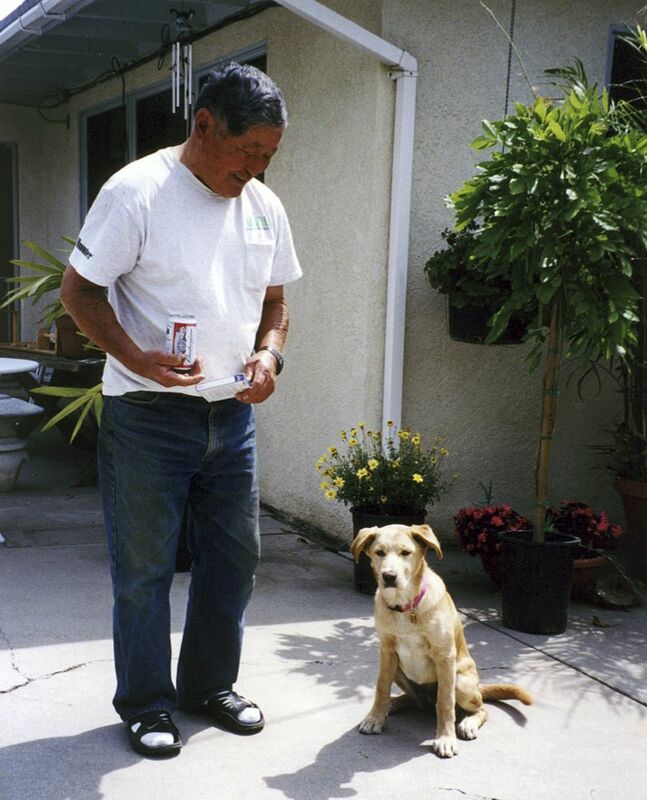 When I went to see them yesterday, Dad simply said, "I miss my dog." Mom said she expected to see Daisy in her spot, laying on top of the dirt under the avocado tree where it's cool. I'm thankful to Daisy for taking care of my parents by being such good company and showing me a side of my dad that's seldom seen. 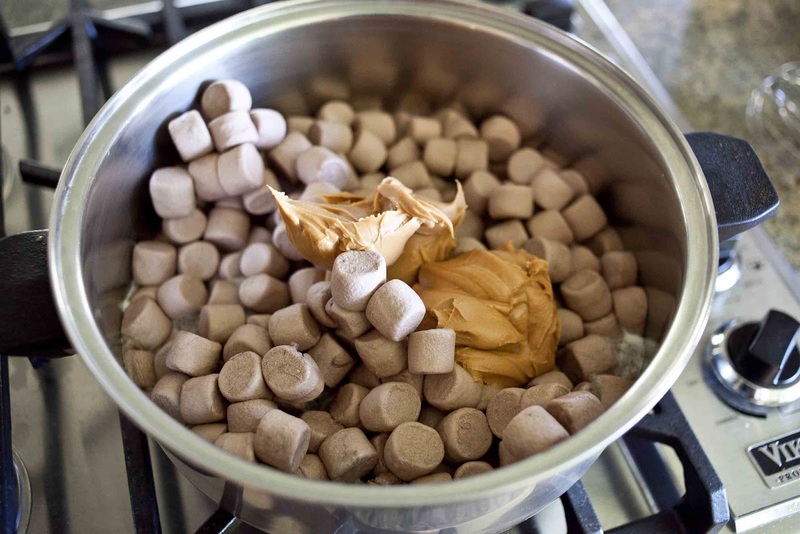 Melt the butter, marshmallows and peanut butter in a large pan over medium-low heat, stirring frequently until all the marshmallows are melted and the mixture is evenly combined. 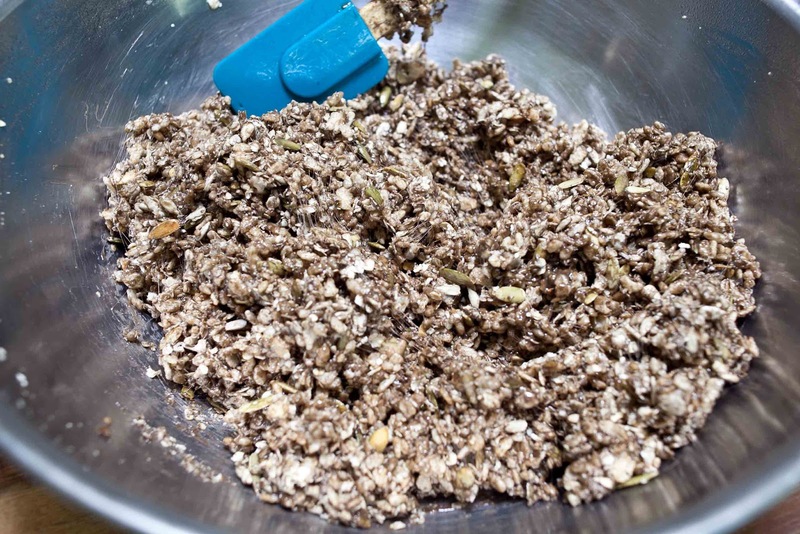 When the marshmallow mixture is evenly melted and combined, add it to the oats & nuts. Stir to combine. 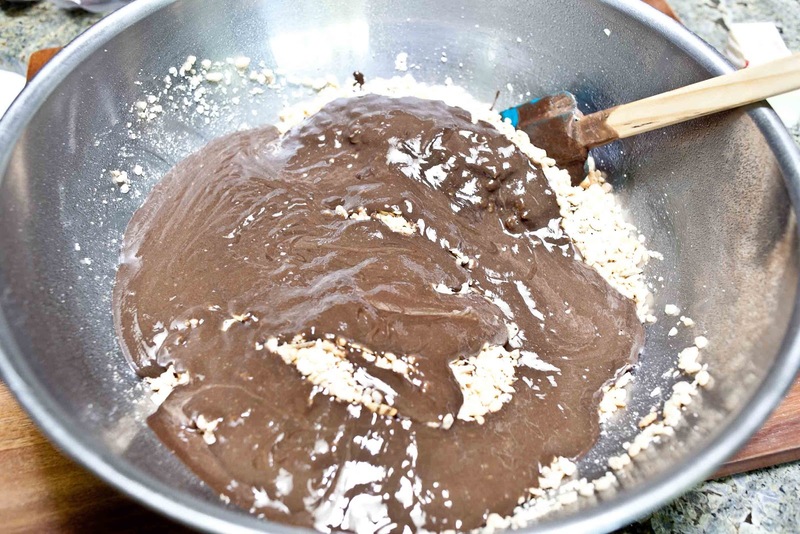 Place half of the mixture into a 9 x 13 inch baking dish sprayed with non-stick spray and press firmly but gently. 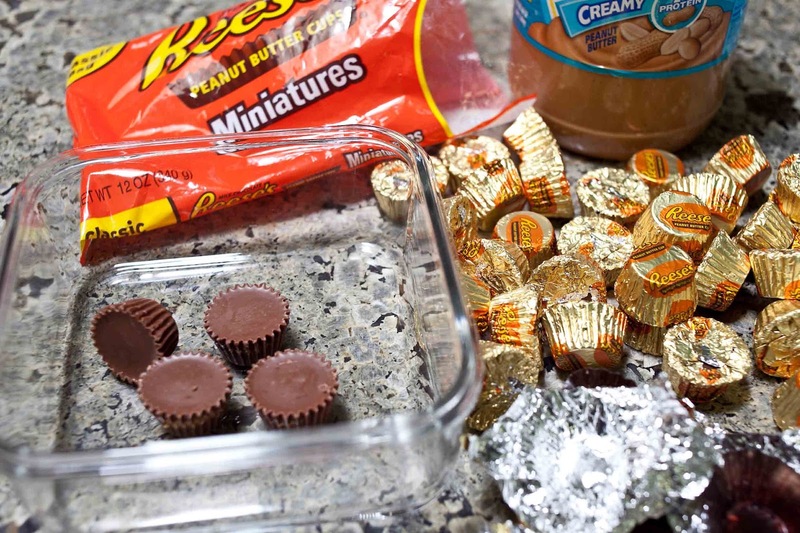 Arrange the peanut butter cups in the pan and cover with the remaining mixture. The mixture is warm so the peanut butter cups will melt a little (or a lot depending upon how warm the mixture is when you put it into the baking dish), press the mixture into the dish. One thing that always impressed me about Daisy was her good memory. Even though I only visit once or twice a year, she always remembered who I was. She would bark a fierce challenge when I pulled up in the driveway, but when I said "Hi Daisy!" she would change to a bark of greeting and wag her tail. Then she'd go inside the house, because that's what a smart dog does when a car is coming up the driveway. Somehow, Daisy taught me how to scratch her where she needed it the most: on top of the base of her tail. She had some skin problems so often that part of her body had no fur on it at all. She would walk over to me. I'd reach my hand out to pet her head. Then she would walk forward until my hand was positioned at the base of her tail, right where she wanted me to scratch. I can take a hint. Daisy enjoyed it so much that sometimes her hind leg would twitch as I scratched her there. Karolyn, I was in tears reading this post. I'm so sorry to hear about Daisy, but I'm glad your family had a nice send off for her! We had to say goodbye to our black lab in October, his cancer finally won out, and I still miss him every day. Thank you for your kind words, Michelle. 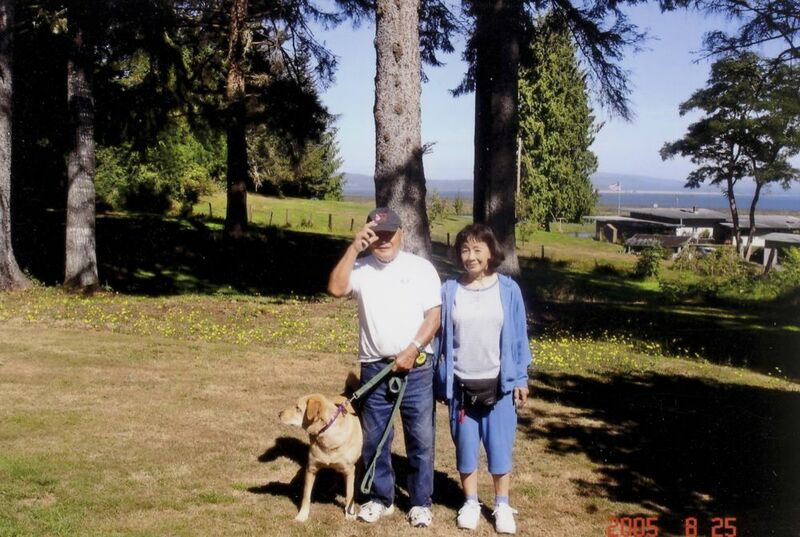 My sympathies are with you for the loss of your black lab, we have a lab that is very dear to our family too. I'll show this to my parents, they'll be touched by the support. I'm so sorry to hear about Daisy. 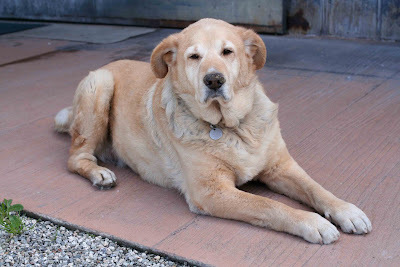 I also received a call from my parents just a week ago, telling me that our family dog, Jake, had passed away, so I understand how you must feel. Jake had been a part of our family ever since I was a child, so it's almost unthinkable to imagine my next visit to my parents' house without Jake being there. Thank you for sharing your memories of Daisy with us. As painful as it may be, I'm sure it meant a lot to your parents that you were all able to honor Daisy's memory together as a family. first time reader... love this blog. it's not just about food, it's got a lot of personality. i'm very sorry about daisy, but it was also sweet how your family addresses such events. I'm so sorry for the your family's loss. 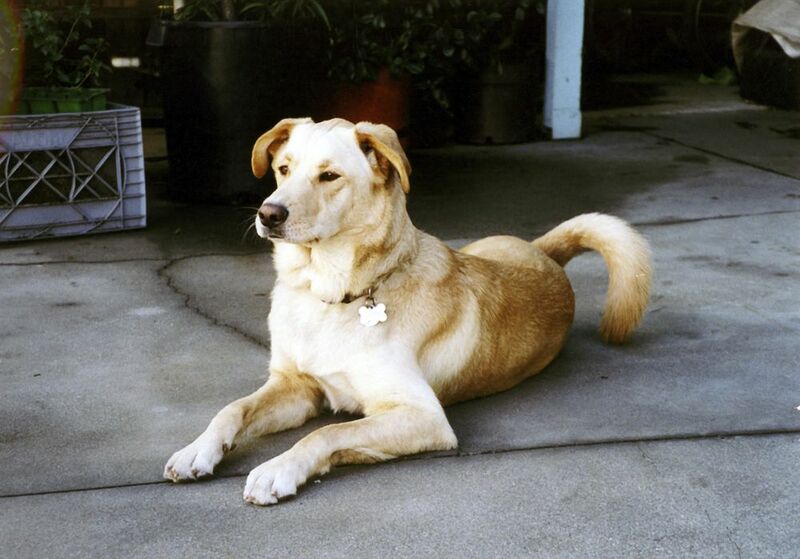 It's so hard to lose a pet, a member of the family. Your story brought a lump to my throat and a tear to my eye. RIP Daisy! 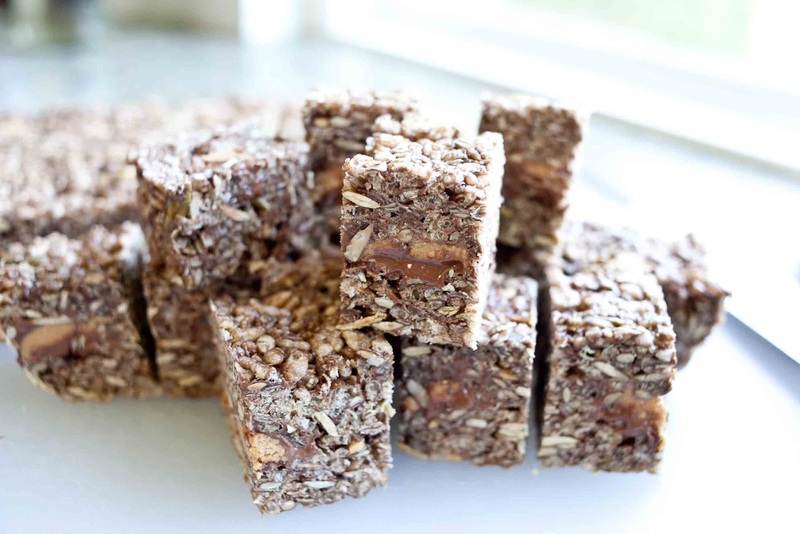 As for the energy bars-they sound amazing! A must make!